I had the pleasure of attending J. Murray's 2018 conference presentation and also viewing the video. 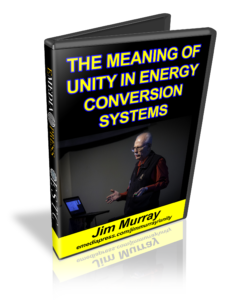 This presentation is a classic methodology developed by Jim with his many years of experience in this field. The presentation, in my mind, is a prerequisite for any one, who is even remotely interested in the Alt Energy field, to gain an understanding of the over unity verification process and the multiple influences of all the variables involved. If you are a serious experimenter do get this seminal video - otherwise you are "fake news" when it comes to describing what you have found. The paperback version of this presentation will be available on Amazon in the near future. The e-book pdf version will be added as an option on the presentation page as well.